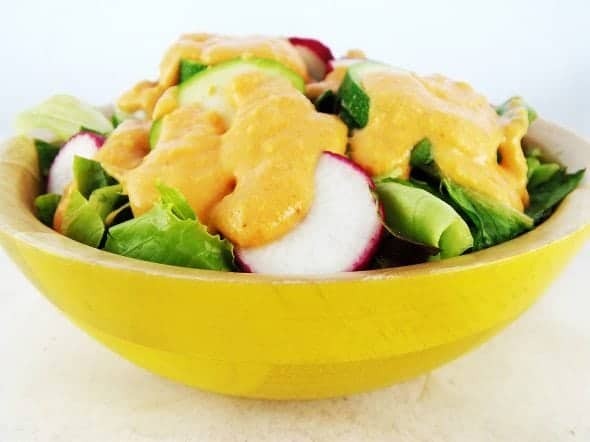 A month or so back my sister e-mailed to tell me brag that she was currently eating a salad with pimento cheese salad dressing. 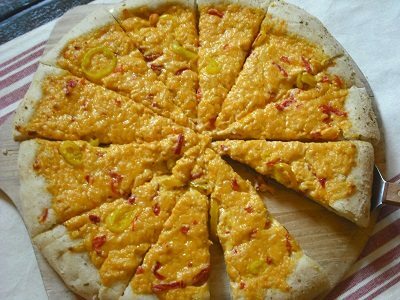 We’re both pimento cheese freaks, so the idea of pimento cheese in dressing form was a big deal. The kind of big deal that you e-mail about in the middle of a work day. 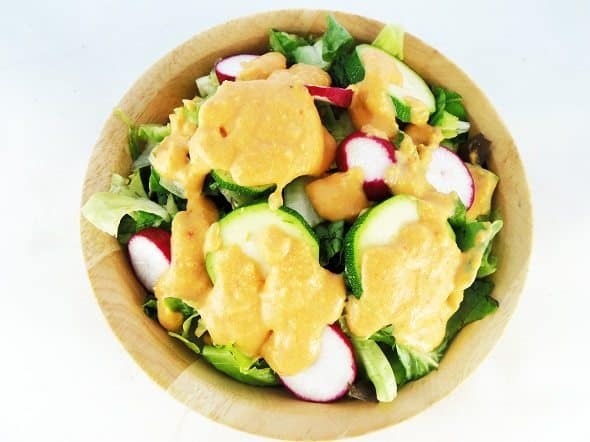 I’m not sure where she got the salad, or who the genius was behind the dressing, but it immediately got me thinking about how I could turn my pimento cheese recipe into salad dressing. 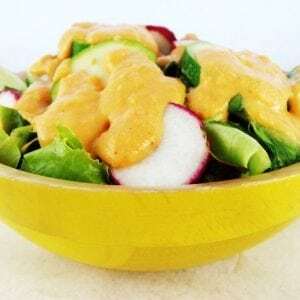 I finally got some time to play in my kitchen this morning and … well let’s just say I sent her an e-mail to brag that I’d be eating a salad with pimento cheese salad dressing for lunch. 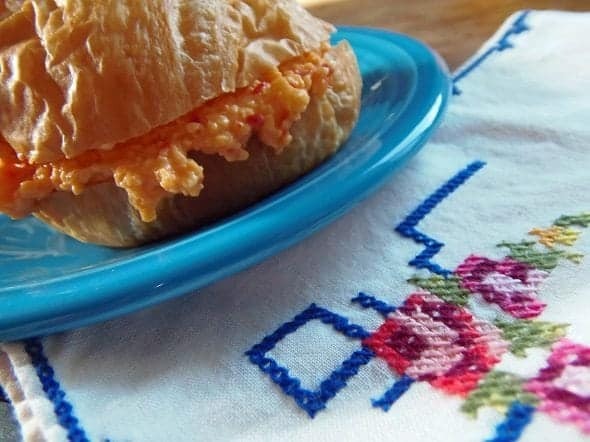 If you’re as excited about pimento cheese as we are, you definitely need to try this recipe (so you can send your own brag e-mail). Place all of the ingredients in a food processor or blender, and blend until smooth. Then, enjoy a big, tasty salad (bonus points if it includes bacon). Tip: I keep powdered buttermilk in my pantry, so I always have buttermilk on hand. It’s just as easy to reconstitute as regular powdered milk. 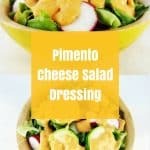 If you like pimento cheese, you’re going to love this recipe for pimento cheese salad dressing. Keep powdered buttermilk in your pantry, so you always have buttermilk on hand for this recipe.